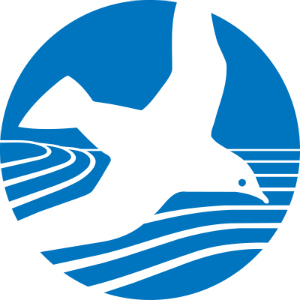 With discussions underway to consider delaying full implementation of the Chesapeake Clean Water Blueprint, the Chesapeake Bay Foundation midpoint assessment of the principal Bay states’ progress has taken on even more importance. The assessment documents success but also finds troubling trends. While Maryland and Virginia are largely on track to meet pollution-reduction goals, Pennsylvania continues to fall far short of the mark. The Blueprint, implemented in 2010, is unlike past state/federal voluntary agreements. It includes pollution limits, state-specific plans to achieve those limits, two-year milestones to evaluate progress, and consequences for failure. In it, the states also committed to implementation of 60 percent of the practices necessary for Bay restoration by 2017 and finishing the job by 2025. CBF’s midpoint assessment examines whether the states achieved the 60 percent goal, and whether they have implemented the programs and policies that were committed to. All three states have exceeded their goals reducing nitrogen and phosphorus pollution from sewage treatment plants, a major reason for the success in Maryland and Virginia. That progress makes up for shortfalls in other pollution-reduction efforts, but will not be sufficient to achieve 2025 goals. All the states fell short in implementing practices to reduce nitrogen pollution from agriculture, urban runoff, and septic systems. Watershed wide, the states achieved the 60 percent goal for phosphorus and sediment. The region fell far short of meeting its nitrogen goal, largely as a result of shortfalls in Pennsylvania’s efforts to reduce pollution from agriculture. “The Chesapeake Clean Water Blueprint beats out all previous failed attempts because it has teeth. But if EPA remains unwilling to impose consequences on states that are lagging, the potential for sanctions will be no more than empty threats. At the very least EPA needs to exert its authority in Pennsylvania, while also putting Maryland and Virginia on notice. Pollution from rural and urban runoff must be addressed now, not pushed down the road yet again,” Baker said. In addition, implementing the Blueprint may be more difficult in the future as the result of efforts by the Trump Administration. Proposals, including slashing funding from EPA’s Chesapeake Bay Program and rolling back regulations on emissions from power plants and vehicles could increase nitrogen pollution across the region. Air pollution is responsible for roughly one-third of the nitrogen pollution damaging the Bay. Overall, Pennsylvania is significantly behind in meeting its goals for nitrogen and sediment, but close to meeting its phosphorus goal. The Commonwealth is significantly off track in reducing nitrogen, phosphorus, and sediment pollution from agriculture and urban and suburban runoff. Progress in reducing pollution from sewage treatment plants is ahead of schedule toward meeting the 2025 goal, but it is not enough to make up for the overall shortfalls. Success of the Commonwealth’s Clean Water Blueprint depends on farms keeping nitrogen, phosphorus, and soil on the land instead of flowing into the water. Since 2016, the Pennsylvania Department of Environmental Protection and county conservation districts have inspected more than 3,600 farms, or 15 percent of agricultural land in the Commonwealth, for required sediment and erosion control and manure management plans. About 65 percent of farms inspected had the required plans. Although the Commonwealth is meeting the programmatic commitment of ensuring that farms have plans, the inspection program should begin verifying implementation of practices in the plans. It is obvious from current levels of agricultural pollution, and even more importantly the almost 6,800 miles of streams impaired by agricultural activities, that implementation is falling far short of what is needed. Future compliance efforts must transition toward technical assistance and implementation. Pennsylvania’s Phase III Watershed Implementation Plan will focus on counties, intending that the largest reductions come from local areas contributing the most pollution to the Bay. Guiding the planning process will be technical data for each county including existing pollution by source, local water quality, agricultural production, and reductions achieved and still needed. The statewide Keystone 10 Million Trees Partnership, coordinated by CBF, is expected to have a positive impact on reducing agricultural and urban and suburban pollution by achieving as much as two-thirds of the Blueprint goal of 95,000 acres. Trees are the most cost-effective tools for cleaning and protecting waterways by filtering and absorbing polluted runoff, stabilizing streambanks, and improving stream and soil quality. Maryland achieved its overall mid-point 2017 goals for phosphorus and sediment, but still fell short on its nitrogen-reduction goal. Significant reductions from wastewater produced overall progress. But nitrogen and phosphorus pollution from urban and suburban areas continued to increase, as did nitrogen from septic systems. Nitrogen reductions from agriculture also were off-track. While seeing success in reducing pollution from wastewater treatment plants, Maryland is significantly behind in reducing polluted runoff from urban and suburban areas. None of the state’s most populated counties or Baltimore City has met goals for reducing this type of pollution. The goals are established in regulatory permits. To get back on track, Maryland must strengthen the next round of permits and Watershed Implementation Plans (WIPs), adhere to deadlines and requirements in approving individual jurisdictions’ Financial Assurance Plans, and reduce forest loss from development. To improve progress in agriculture, Maryland should focus its cost-share investment dollars in targeted areas, and restrict such dollars for new or expanding poultry operations. Maryland also needs to better account and plan for pollution increases from sprawl growth in rural areas and an expanding poultry industry. Virginia has achieved its overall 2017 goals for nitrogen and phosphorus reduction, but not for sediment. Nitrogen and phosphorus pollution from urban and suburban areas and nitrogen pollution from septic systems continue to increase. Nitrogen reductions from agriculture are also off track. On the positive side, Virginia has exceeded its pollution-reduction goals for wastewater and remains on track for its phosphorus pollution goal for agriculture. While Virginia has made substantial progress, many challenges remain. Looking forward, Virginia must focus on reducing pollution from stormwater, agriculture, and septic systems. Continued strong commitment on the state and local levels is vital to success. Virginia’s Agricultural Cost Share Program supports cost-effective practices that help farmers keep valuable nutrients and topsoil on the farm and out of waterways. For urban and suburban areas, Virginia’s Stormwater Local Assistance Fund addresses polluted runoff through matching grants to localities for effective projects that reduce pollution. Unfortunately, this program has not received new funding since 2016. This year, local governments will also have an important opportunity to weigh in on local clean water plans being developed to reduce pollution in waterways in our own backyards. Communities are encouraged to be part of this effort by supporting these Phase III Watershed Implementation Plans.